Here is a high detail scroll saw pattern. This beautiful Macaw Parrot should be a fun challenge on the scroll saw. We have over a hundred patterns of all sorts for you to try. We keep adding more files daily from Scroll Saw patterns, CNC Patterns and more. Scroll Saw Patterns Macaw Parrot. The Maccaw are native to South America, Central America and North America. They are found in rain forests and are beautiful birds. This Maccaw pattern is highly detailed as mentioned above. In fact this may be the highest detailed pattern of a Maccaw Parrot on the internet. You can find this pattern here in our shop as soon as it’s uploaded. We are adding more and more patterns and are hard at work. 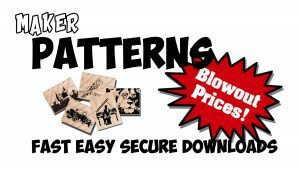 makerpatterns.com has the lowest prices with the highest quality patterns on the internet. So check back at our catalog each day for more scroll saw and CNC patterns. We also have a FREE section in our shop and we are adding more downloadable patterns each day. Enjoy our work and send us pictures of your completed project form our patterns. Maker Patterns will post them and spread the word. Are you a Maker? Do you have an online precence and would like to grow it more? Maybe sell your finished items, promote and write blogs? Harneal Media creates websites for Makers by Makers. They will work with you in an easy laid back fasion and get your site up and running without complications or worrys. It’s a personalized way to create your site. Visit Harneal Media.